The Verb Ghost family is almost a year old, and in that time y'all have made it our best selling collection! What makes the Ghost Collection so special? Where does the name come from? Keep reading to find out why we created it, why your hair loves it and why the collection has over 62K loves on Sephora.com. Good Q! In essence, the Ghost Collection was made specifically to bring hydration to fine hair girls & guys or those who wash daily. Why ghost? Because it's so weightless it disappears in the hair (and we thought it was a cool name). Formulated to naturally smooth frizz & add radiant shine to all hair types, this collection is infused with moringa seed oil — leaving hair smooth & touchable all day long. It’s a great collection to add to your routine when you're looking for haircare that is weightless and won't weigh you down. Start with the Ghost Shampoo and Conditioner... you know how to do that part. After towel drying hair we recommend a small amount of Ghost Prep throughout strands to help heat protect (up to 425 degrees) before styling. Do you have a little bit thicker hair? Our favorite thing to do is to combine Ghost Prep with a pump of Ghost Oil before drying. Next, dry hair or let air dry and finish styles with Ghost Dry Oil for an all over weightless shine + protect against frizz. We recommend Ghost Oil on the ends of dry hair to polish off styles as well. For days when you're looking to curl or style, use Ghost Hairspray for a medium, lightweight hold without the crunch. Get out and verb in your Verb. Repeat as little or as much as you'd like, Ghost will never weigh you down. 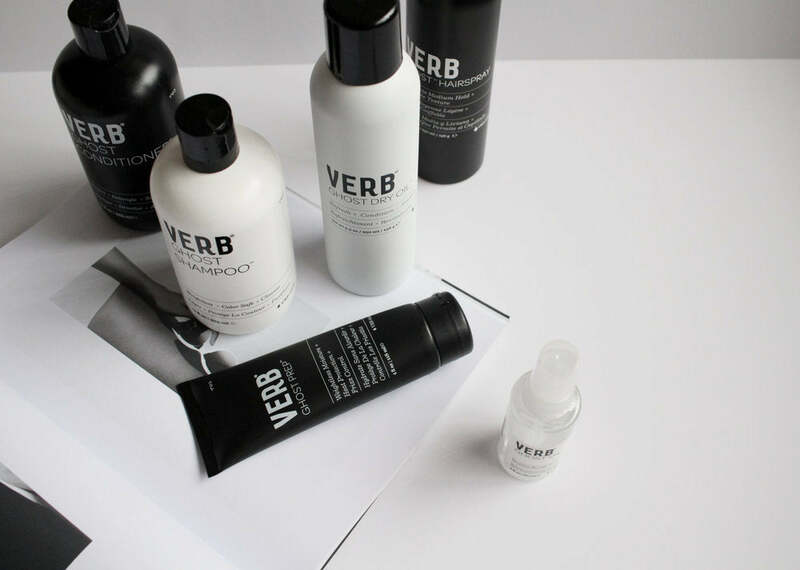 Like all Verb products, our Ghost Collection is made without parabens, gluten and harmful sulfates. That means you never have to question and worry about what you're putting on your hair. Oh and it's vegan & cruelty free as well, like we said only good stuff here, y’all. Want to learn more about Moringa Seed Oil and it's benefits for your hair? Check out this blog article! Looking for affordable haircare? Verb is all about salon quality haircare at an affordable price, that's why all our products, including Ghost, are always $16 (usd). We think beauty should be easy and you shouldn't have to sacrifice quality simply because you can't afford it. More of a visual learner? Check out the videos below to see real people use the Verb Ghost Collection. Want to learn more about each Ghost product? Visit our product education pages for an in-depth look at all 6 members of the Ghost fam.